With a rich and extensive history that dates back to 1964, Padron Cigars have won the hearts of premium cigar enthusiasts over the course of time. 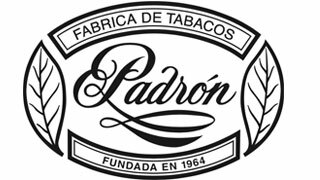 In production for almost half a century, Padron Cigars are handmade in their facility in Nicaragua with the cigars varying in strengths ranging from medium to full. The brand’s selling point is their Cuban-seed, Sun-grown Nicaraguan tobacco leaves that are carefully aged anywhere between two and a half and ten years. This creates a taste that caters to the tastes of all cigar enthusiasts in terms of flavor, strength and market price. This brand is high ranked for its consistency and has a loyal and enduring fan base. This cigar is guaranteed to layer your palate with flavors ranging from coffee and toast to hints of caramel and well-defined punches of espresso. With an almost flawless white ash, heavy flavorful smoke output and a medium to full strength, you can light them up at any time of the day. Each of their Nicaraguan Puros, utilizing leaves cultivated from the fertile soils of Nicaraguan, are available in a natural and dark Nicaraguan wrapper and an oily Maduro wrapper, both with Nicaraguan binders. Padron 1964 Cigars have a mellower taste because the tobaccos are aged four years while the Padron 1926 line is made from tobaccos aged a full five years to create this complexity and twist all while maintaining a smooth and balanced smoke. They produce their cigars in all shapes; Churchill, Cigarillos, Corona, Gordo, Lancero/Panatela, Presidente, Robusto, Toro and Torpedo. Handcrafted since 1964, these handmade beauties deliver only the finest smoking experience!